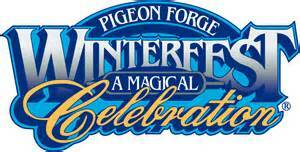 Join us for Winterfest in Pigeon Forge, the nearly four-month celebration of winter in the Smokies. Enjoy the light displays at your leisure on our Winterfest Lights Driving Tour. 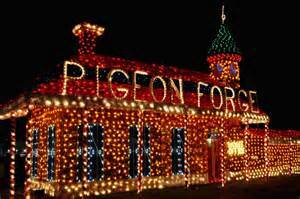 Pick up your tour guide at the Pigeon Forge Welcome Center at traffic light #0 or at the Fun Time Trolley office in Patriot Park. 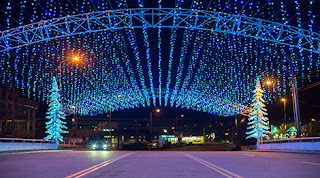 Winterfest light displays will shine through the end of February. Local Girl Scouts will be selling hot drinks and cookies and we will have Winterfest shirt sales also. We hope you can visit us during this magical time of year! Please call us at 865-908-7935 or visit our website to reserve your stay so that you too can enjoy the magic of Christmas Pigeon Forge Style. 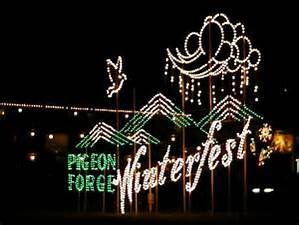 From Sevierville to Pigeon Forge to Gatlinburg we light up our town for a few months of winter magic. 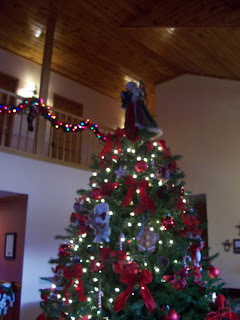 Here at the lodge we will be all decked out by November 16.